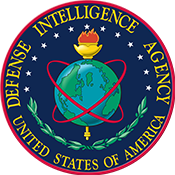 Committed to excellence in the defense of the Nation, the DIA works to provide military intelligence to warfighters, defense policymakers and force planners in the Department of Defense and the Intelligence Community, in support of U.S. military planning and operations and weapon systems acquisition. The University of New Mexico, as an Intelligence Community Center for Academic Excellence (IC-CAE), was awarded a $2 million, three-year grant to create a Critical Technology Studies Program (CTSP) and engage a consortium of regional institutions, known as the New Mexico Consortium for Critical Technology Studies (NMC-CTS). The grant will be part of the National Security Studies Program (NSSP), directed by principal investigator Frank Gilfeather in the Global and National Security Policy Institute (GNSPI) in the Provost’s Office, and directed by co-principal investigator Emile Nakhleh. NMC-CTS is led by the UNM main campus principal faculty from Anderson School, Arts and Sciences and School of Engineering. The mission of the NMC-CTS is to interest and prepare New Mexico’s students representing the broad diversity of New Mexico’s local communities in critical technologies (CT), and ensure that students develop the knowledge and skills in CT to successfully compete for national security positions. CTSP’s objectives focus on developing curriculum to strengthen existing computer science, IT and STEM academic programs in NMC institutions to support critical technology areas such as cyber and data security. The current UNM IC-CAE program, the NSSP, focuses on global, national and human security studies. The National Security Studies Program (NSSP) is a student focused initiative helping a new generation of New Mexico students develop the knowledge and skills necessary in an increasingly complex and rapidly changing world. NSSP is tailored to prepare UNM students from a broad spectrum of disciplinary and professional fields of study for careers in U.S. government service.